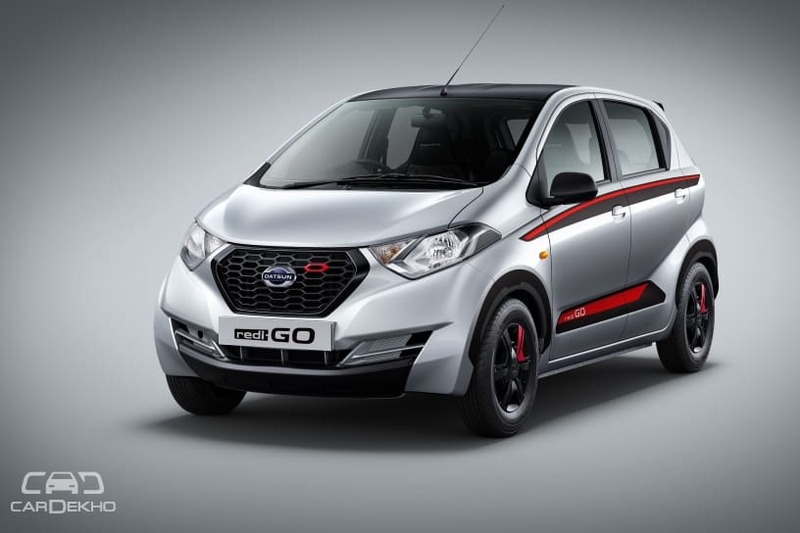 Datsun has launched the redi-GO Limited Edition 2018 in India. The special edition of the redi-GO can be had with the manual transmission versions of both the 0.8L and 1.0L. What additional does it get? The Datsun redi-Go Limited Edition 2018 gets a roof wrap, body graphics, front and rear bumper undercovers, red insert on grill, tailgate graphics, red and black leather upholstery, accents on AC vents, rear parking sensors, satin chrome gear bezel, chrome inside door handles and carpet mats. The limited edition redi-GO commands premium over the T(O) variant with both the engine options. The additional features on offer on the limited edition redi-GO seem to justify the Rs 11,000 and Rs 8,000 increment over the T(O) variant with the 0.8-litre and 1.0-litre engine, respectively. Like the T(O) variant, the redi-GO Limited Edition 2018 doesn't get driver side airbag; redi-GO S gets it. For more details on the Datsun redi-GO Limited Edition’2018, here’s the carmaker’s press release. NEW DELHI (SEPTEMBER 04 2018) – To celebrate the spirit of festive season, Datsun India has announced the launch of the stylish redi-GO Limited Edition’2018 across two variants. With a combination of stylish design, unmatched performance, fuel efficiency and convenience, the Datsun redi-GO Limited Edition’2018 is priced at INR 3.58 Lakhs for the 0.8L MT version and INR 3.85Lakhs for 1.0L MT version and will be available in three colors - white, silver and red at all Nissan and Datsun dealerships in India. The Limited Edition’ 2018 Datsun redi-GO comes with power packed exteriors which includes roof wrap, stylish body graphics and front-rear bumper undercovers. In addition, striking features such as the front signature red insert on grill and rear tailgate graphics enhance the premium looks. The refreshing interiors of the car carry red and black leather upholstery seats with accents on AC vents, Rear Parking Assist Sensor (RPAS) with distance display device, satin chrome gear bezel, chrome inside door handles and carpet mats.